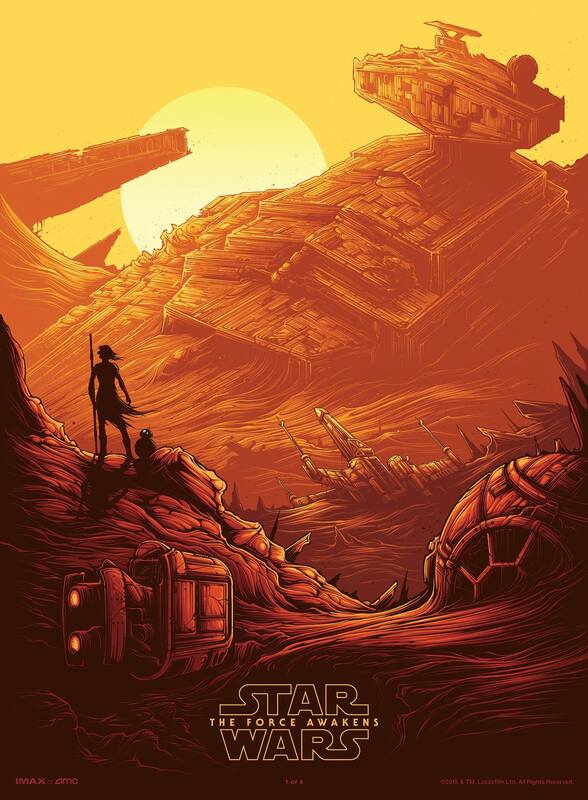 Dan Mumford made the new official IMAX Star Wars: The Force Awakens poster. I thought that was pretty cool considering he posted on emptees way back when. Cool to see old members working on something huge like this, the biggest movie to come out in a long time. Are there any other examples of members working on major releases for movies, tv shows, huge bands, etc? Sooooooooooooo sick! The attention to detail is exceptional. I know Dobi has done some work with huge classic bands, and although they didn't frequent here as much, Olly Moss has done some Star Wars and movie work and Brock Davis (laserbread) did a cover of Time Magazine which is pretty crazy.